ten thousand years ago…You see memories. 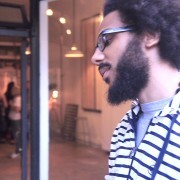 Quenton Baker is a poet and educator from Seattle. His current focus is the fact of blackness in American society. He is a 2015-16 Made at Hugo House fellow and a 2014 Pushcart Prize nominee. His chapbook Diglossic in the Second America came out from Punch Press in 2015.